“Burke Street Scene, Artist's Drawing,” braddockheritage.org/, accessed April 24, 2019, http://braddockheritage.org/items/show/48. 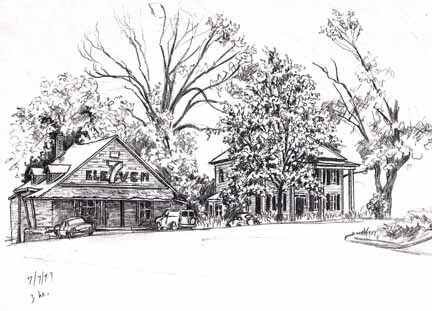 Artist's rendition of the center of Burke in 1979, showing buildings whose ownership had changed over time. The 7-Eleven store previously held a country general store.